Decorated with etched-style print of a sailboat. Starburst light-reflecting pattern on bottom. Pewter lid, suitable for engraving. Standing 7 1/4in. 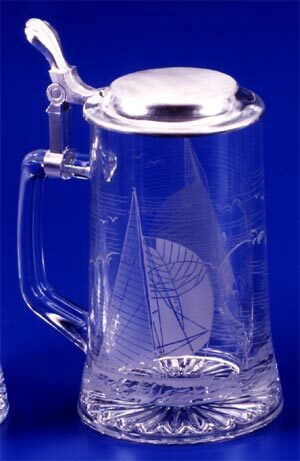 this glass sailing stein is sure to delight any sailor.